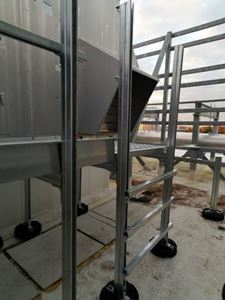 Unistrut rooftop walkway systems, access platforms, and crossover systems are available as factory assembled systems (for built-up, membrane and urethane foam systems only) or as assemble-on-site components. Our designs are easy to assemble and install by one or two workers without the use of special tools, and in most cases, without using hoists, or cranes. 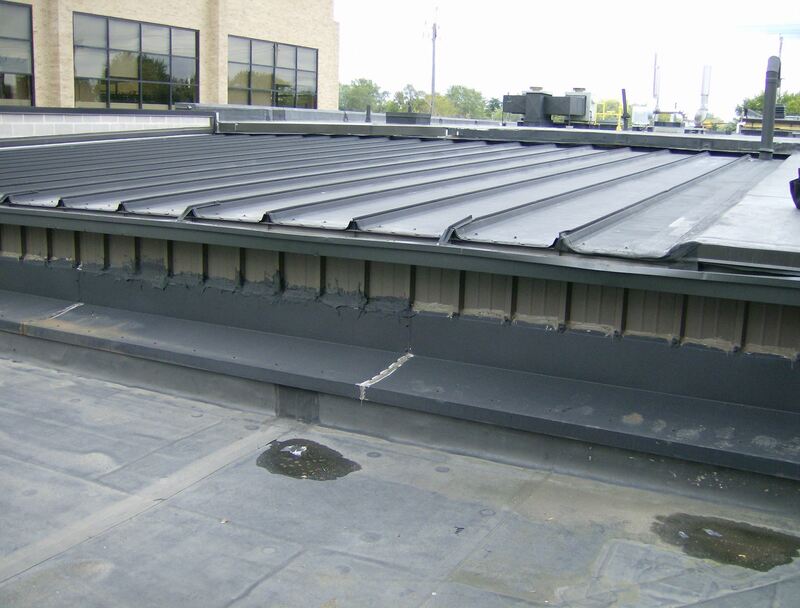 For standing seam roofs, each of our rooftop systems feature S-5! clamps to ensure a strong and safe, yet non-penetrating connection that won't harm your roof or void your warranty. On standing-seam metal roofs, workers of all sizes can walk safely on the anti-skid surface without causing seam distortion, “dishing”, or harmful stress to the roofing panels. 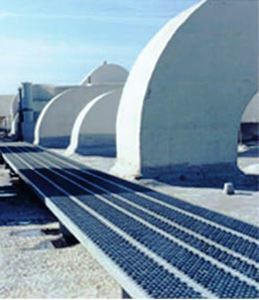 We also offer rubber puck bases for non-standing seam applications. Each system is built with lightweight metal grating and features special anchoring hardware requiring no roof penetration. Best of all, rooftop walkway systems and work platforms from Unistrut Service Company are versatile and adapt to virtually any roofing system. 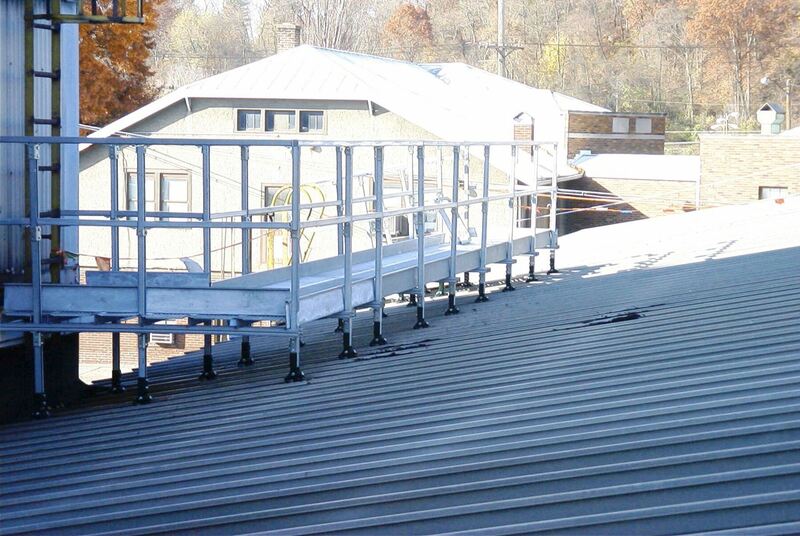 As an added advantage, Unistrut Service Company’s sister company, Diversified Fall Protection, has protected maintenance staff and contractors working from heights for over 30 years. 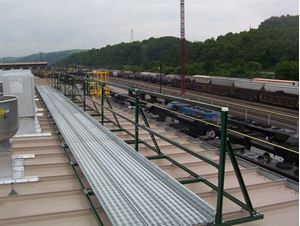 Our complete line of in-stock Unistrut materials and our expertise in fall protection is the perfect combination to keep your workers safe. 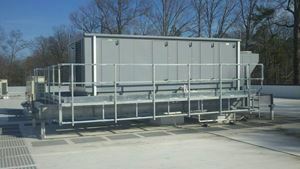 Ready to provide your maintenance staff with safe rooftop access that won’t harm your membrane, foam, built-up, or metal standing seam roof? 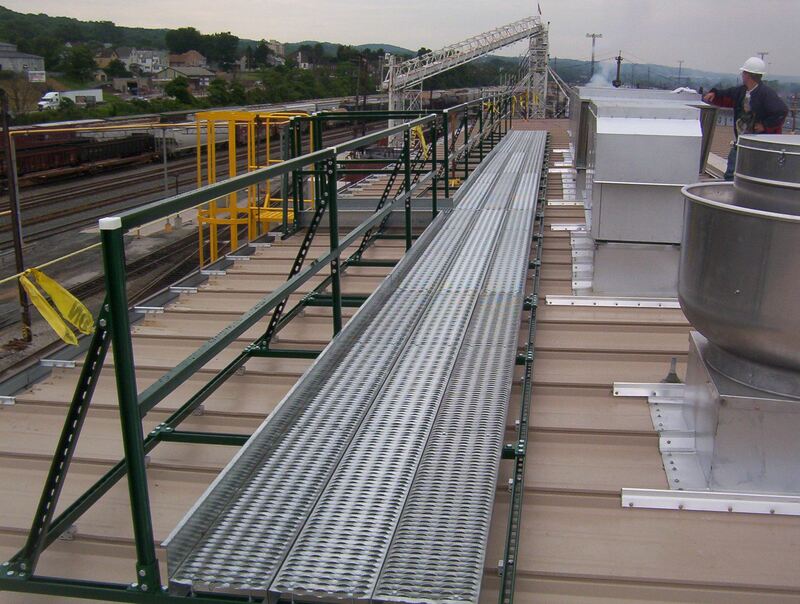 Contact us today to see how our in-house engineering staff can develop and install an OSHA approved rooftop walkway system or work platform to meet your access and fall protection requirements. 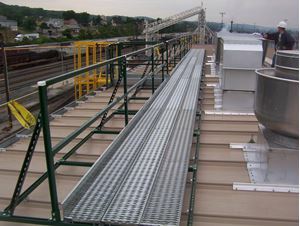 After-a roof top walkway constructed using non-skid grating, with integrated stairs and handrail provides OSHA compliant, safe access to a raised section of roof. 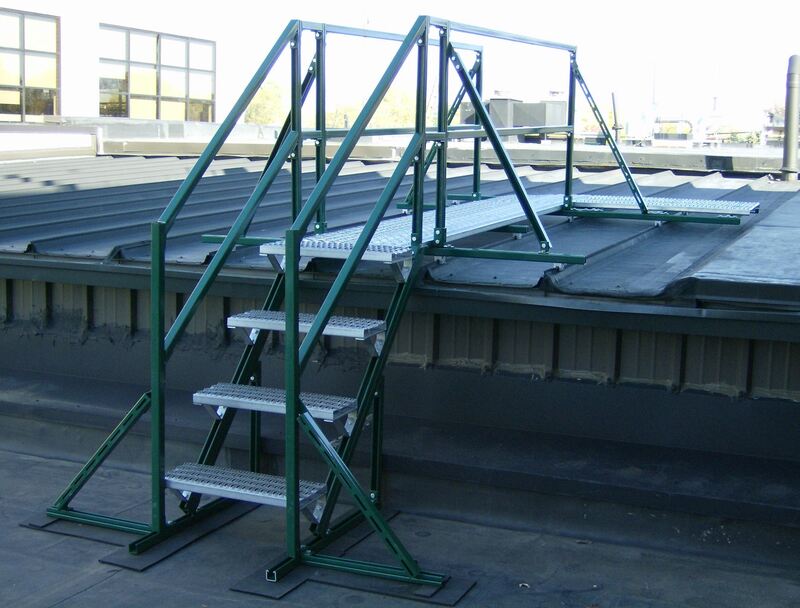 Before-climbing from lower to upper levels on an exposed roof is unsafe and violates OSHA regulations. 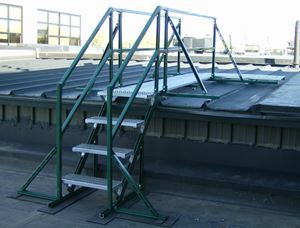 Unistrut and Structural Steel rooftop walkways. 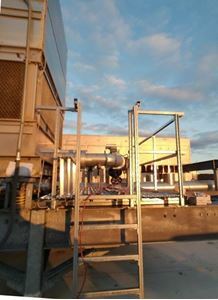 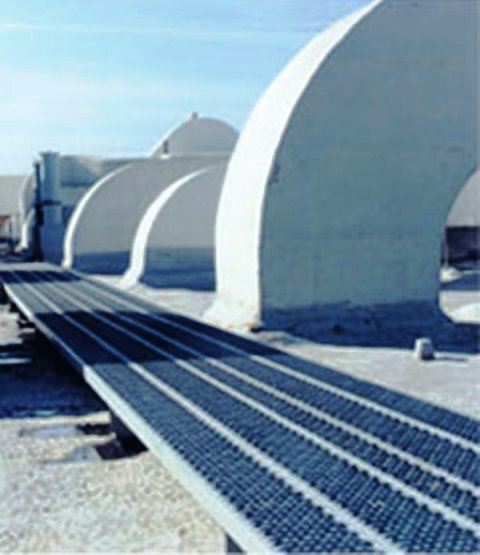 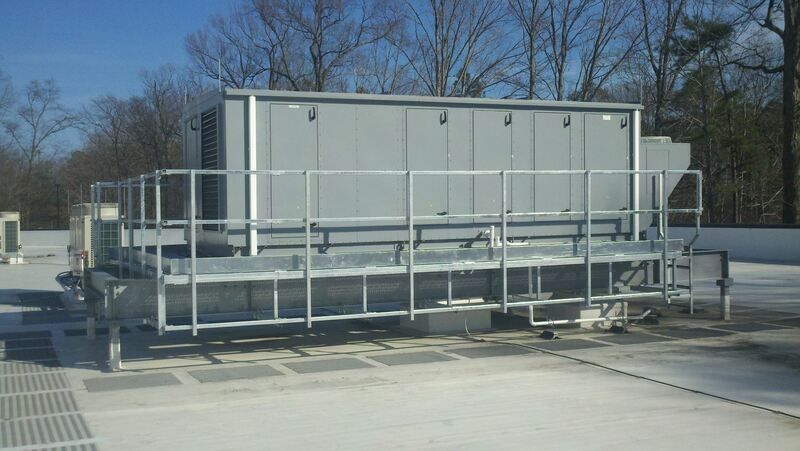 Unistrut Rooftop Walkway allows safe access to several rooftop air conditioning units. 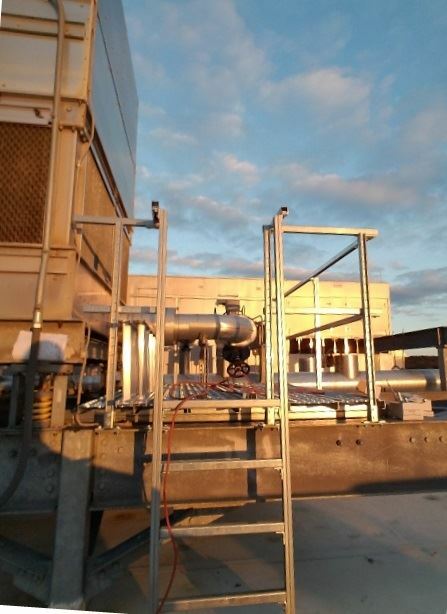 Note that no penetrations were created during installation. 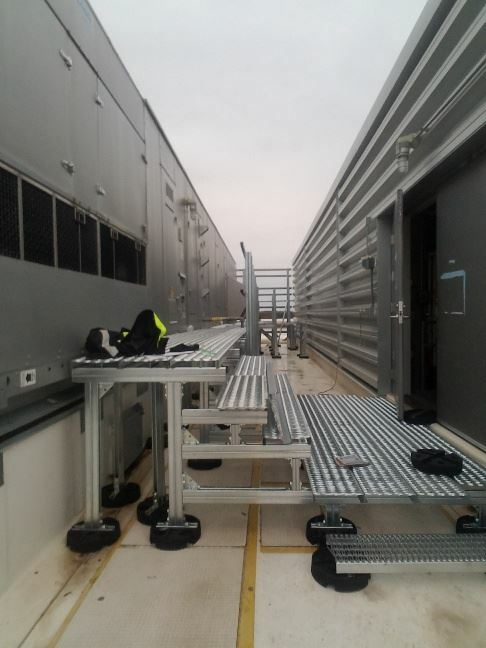 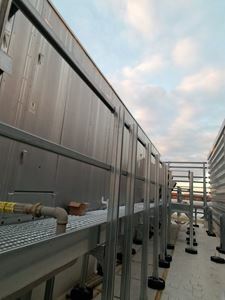 We were contacted to design and install a rooftop walkway system that did NOT contact the roof in any way, but allowed the contractors that would service the three Rooftop Units (RTU's) to be able to access all items of the walkway.